By our appraisal, the revised SAT is superior in most every way to the current SAT. It is a more rigorous test, and it is more aligned with college-level thinking, reading, and writing. We’ll need to wait until the summer of 2018 before institutional data is made public, but we predict it will have greater predictive validity for freshman college grades than does the current SAT. 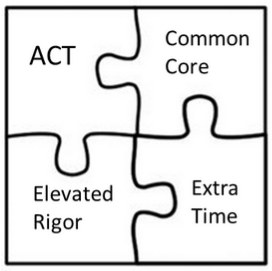 The revised SAT brings together the influences of the ACT and the Common Core standards, but with a greater commitment to higher-level reading, writing, and analysis and a diminished focus on processing speed. For bright students who struggle with the timing constraints of the ACT, the revised SAT may be a blessing. We recently administered a revised SAT to an academically advanced student who had been prepping for the ACT but who was struggling with the intense timing constraints of that test. Upon completing the test, the student volunteered that the new test felt almost identical to an ACT, only without the challenging ACT science section and free from intense timing demands. Not only did this student strongly prefer the revised SAT, but she also gained the equivalent of 140 points above her comparable ACT score (using current concordance tables). This new test is made for advanced readers. Students taking a rigorous curriculum in which they are regularly exposed to advanced texts across a variety of disciplines should find themselves well-prepared for the new SAT. AP and IB courses, in particular, may provide students with a leg up on this exam. Students who struggle with reading will find themselves challenged across the test, as reading permeates the math, reading, writing and essay sections. Large block passages now dominate the writing section of the SAT. Gone are the short-form Error IDs and the Sentence Corrections, where students are asked to identify grammar errors or make corrections to sentences written in isolation. Instead, all of the writing questions will now be asked in context. Considering that only 6 of the 49 multiple choice questions on the current test ask students to make edits in context, this represents a significant change. With this structural overhaul comes a change in the kinds of writing skills assessed. While the current SAT primarily tests grammar (80% of the current test focuses on grammar/mechanics/usage), the new SAT shifts focus to rhetorical skills. 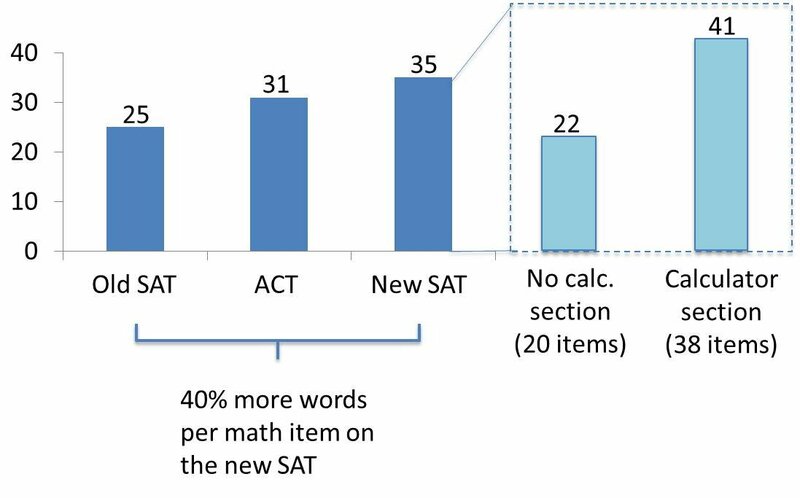 On the released samples tests for the redesigned SAT, 55% of writing questions require students to edit for content and logic rather than grammatical errors. Students must choose appropriate transitions between sentences and paragraphs, improve the author’s argument by adding evidence that supports a thesis, and create a logical flow of sentences and paragraphs. In many instances these “expression of ideas” questions are more difficult than similar questions on the ACT because they require students to have a greater command of the overall tone and purpose of the passage. The redesigned SAT also introduces vocabulary to the writing section. 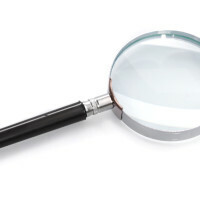 Students can expect to see 2-4 straight vocabulary questions, wherein they must choose between words such as confided, promulgated, imparted, and unveiled. They will also likely see multiple questions asking them to use context/tone to select among homonyms (cite, sight, and site, for example) or among words with similar meanings but different connotations. Given the relatively small number of vocabulary questions on the writing section, students should not bother with flash cards or any other form of vocabulary preparation for this test. The complexity of these long block passages appears to fluctuate tremendously; by contrast, ACT passages are typically more uniform in reading level. The average passage on the revised SAT is harder than the average passage on the ACT, and the hardest new SAT passages are significantly harder than anything that has ever appeared on an ACT. On each of the four released SAT tests, one of the passages has looked more like a passage you might find on an AP exam or SAT literature test than on a college entrance exam. Students will need to be able to identify this “hard passage” on the revised SAT and potentially save it for last. *From read-able.com, an average of the Flesch-Kincaid Reading Ease, Flesch-Kincaid Grade Level, Gunning Fog Score, Coleman Liau Index, and Automated Readability Index metrics. Students can anticipate seeing much more complex vocabulary in the passages, particularly those drawn from older texts (e.g. brazier, betook, engender, discomfiture, monotony) or from the “hard” passage (e.g. solicitude, obstinacy, consecrated, subversion, incantations). However, they can expect “vocabulary in context” (VIC) questions to assess words far simpler than those found on the current SAT (e.g. expert, ambivalent, channel, directly, form). 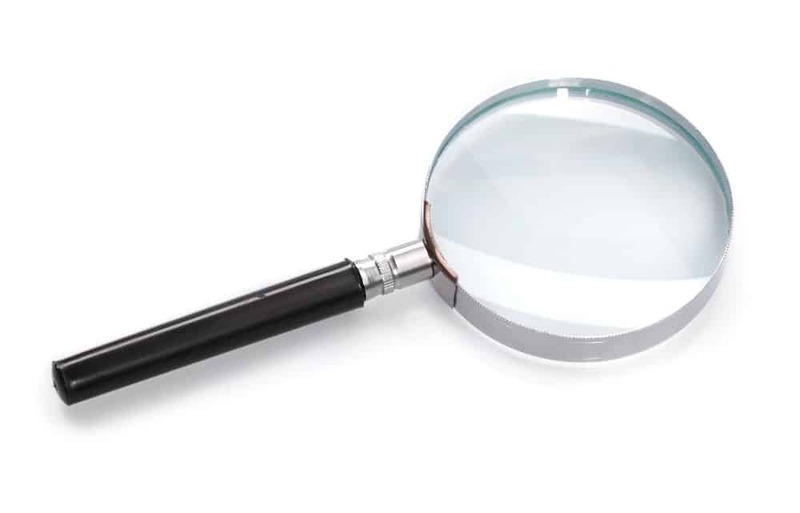 We’ve found that the Command of Evidence questions, which require students to scour the passage to find the evidence justifying a prior answer, reward students who actively read and engage with the passage. We believe that, with a little practice, many students will benefit from this new question form. Here, as elsewhere on the new SAT, reading comprehension is going to be critical to success. The new test feels like it’s 50% reading comprehension, and students will need to learn how to wade through all the language to isolate the math. Some educators have indeed criticized this test for placing too great a focus on reading skills, thereby sacrificing its ability to assess pure math skills. The College Board deems this a return to applied, real-world math, but as a college student, I saw nothing like this in my calculus or statistics classes. It wouldn’t surprise me if we learn that this section has the lowest correlation with freshmen grades, as is the case on the current SAT. When we start to break down the test more, it’s clear that the two math sections differ greatly from one another. The calculator-prohibited section primarily assesses algebraic concepts in the abstract, whereas the calculator-permitted section is word problem central, with a whopping 69% of items in context. Students can have their calculators but will likely find them less useful than ever before on this new, reading-heavy section. Another meaningful change is that math is shifting away from questions that assess a single concept (e.g. slope), emphasizing instead questions that require students to understand multiple concepts simultaneously (e.g. slope, equation of a circle, and distance formula). More than 2/3 of the questions on the released practice tests require this type of synthesis of concepts. Similarly, many questions now have 2-4 “parts,” each with their own answers. Many of the geometry items are part of these multi-part questions. Adding to the chaos, the College Board is now including distractors in its math problems. Historically, students were given no irrelevant information on the SAT. That changes with this new test. Instead, students will have to wade through the noise, flexing their reading skills to identify the important information in each question. In terms of the level of difficulty, the revised SAT seems like a much flatter test than either the current SAT or the ACT. The new test boasts a vast majority of medium difficulty items with a handful of easy and hard problems. This is a departure from the steeper curve on the SAT and ACT. Most math items take the same amount of time to complete; by contrast, early problems on the ACT may take 20-30 seconds to complete, while later items often take 1.5-2 minutes. In spite of the elevated focus on reading, we believe this new test will be a superior assessment of general math ability than the current SAT. By minimizing the importance of geometry and increasing its use of contextual word problems, the College Board has created a tougher but more focused test of algebraic skills that relies far less on heuristics or speed. Students lose the ability to solve with their calculator on one section, and they can no longer work backwards from the answer choices on many questions. Either you know the math, or you’re going to be out of luck. This new test will more clearly reveal the math deficits of students, particularly in the realms of algebra I and II. As a result, this test will raise the bar for students and tutors alike! The new essay, more akin to a document-based question on an AP exam, is a dramatic improvement over the current essay, which is essentially an opinion piece. The revised essay will measure reading skills, analytical skills, and writing skills, making it more typical of college-level work than ever before. While a number of prestigious colleges have announced they are making the essay optional, I am confident many admissions offices will eventually be impressed by the superior predictive power of this new essay. The Dean of Admissions at Penn, Eric Furda, cited the lack of predictive validity of the current essay as the rationale for making the essay optional. But the current essay pales in comparison to the updated one, which should more strongly predict freshman grades, particularly in intro-level English classes. Having spent four months analyzing the new SAT and several months preparing students for the upcoming SAT-aligned PSAT, we are confident that the College Board and ETS have made a superior college-level assessment. This new SAT is an improvement. Moving away from a focus on advanced vocabulary, geometry and processing speed feels like the right move for a college-preparedness assessment. Enhancing the reading and writing requirements of this test also feels appropriate to assist colleges in identifying students prepared for the more rigorous reading and critical-thinking skills typical of college level learning. This test will surely reveal deficits in students who are unprepared for these heightened levels of rigor. Given the unfortunate likely delay of the score return for the March SAT, many students will avoid the new SAT this spring. Once the dust settles, and we are left with typical timelines for the SAT and ACT, we’ll be recommending the new SAT to many students. As always, the single best way to identify the optimal test is to take official, timed practice tests. 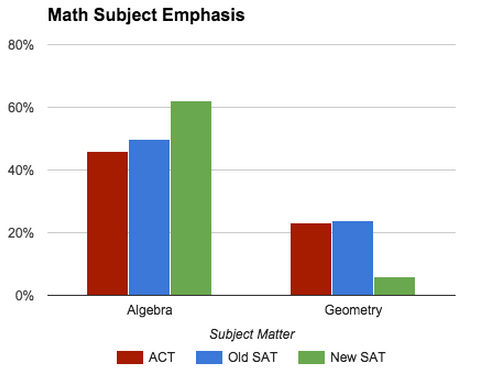 The SAT and ACT are converging in so many ways, but many students will find that they prefer, and ultimately perform better on, one of these tests. Until colleges express a preference for one test over another, we advocate following your strengths and preparing fully for the test that best matches your skills and abilities. this is great information!….I like the way it is broken into sections and explained! It will be interesting to see how the students will come through!